» Featured Articles » Is Palmer Amaranth Developing Traits That Make it Difficult to Control? Palmer amaranth is widely considered to be one of the most damaging and difficult to control agricultural weeds in North America. A lot of time and attention has been devoted to herbicide-resistant Palmer amaranth and the significant yield losses it can produce. 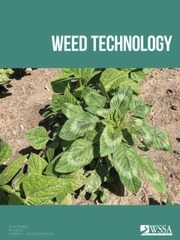 Research featured in the Weed Science, though, shows other “life history” traits may be contributing to crop losses by making Palmer amaranth more aggressive and difficult to control. Researchers from the University of Florida collected samples of Palmer amaranth from 10 fields in Florida and Georgia. The sites had widely divergent cropping histories – from short-statured vegetables and peanut crops to tall corn and cotton crops. 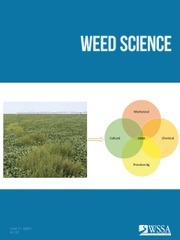 The fields also varied in herbicide use. Some were devoted to organic production, while others had a history of intensive herbicide use. Significant differences were observed in the traits of the Palmer amaranth from the various fields, such as fresh and dry weight, days to flowering, plant height, leaf shape and canopy. Researchers say these differences could not be explained by whether the Palmer amaranth population was glyphosate resistant or glyphosate susceptible. Instead, crop rotation and crop canopy better explained the many variations found. For example, the tallest populations of Palmer amaranth came from corn fields, while the shortest came from fields planted with the shortest crops. 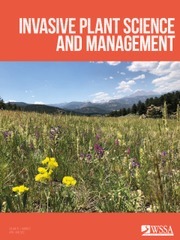 Differentiation of Life-History Traits Among Palmer Amaranth Populations (Amaranthus palmeri) and its Relation to Cropping Systems and Glyphosate Sensitivity published in Weed Science Vol. 65, Issue 3, July-September, 2017.